Showing results by narrator "Beverly Brown"
An awkward first meeting with US Army officers, on the eve of the Civil War. A conversation on the White House portico with a young cavalry sergeant who was a fiercely dedicated abolitionist. A tense exchange on a navy ship with a Confederate editor and businessman. 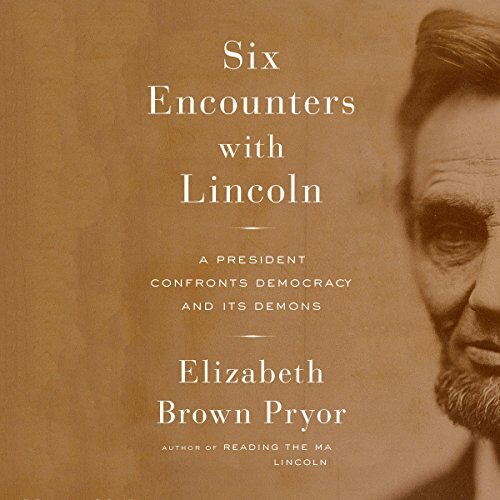 In this eye-opening book, Elizabeth Brown Pryor examines six intriguing, mostly unknown encounters that Abraham Lincoln had with his constituents.